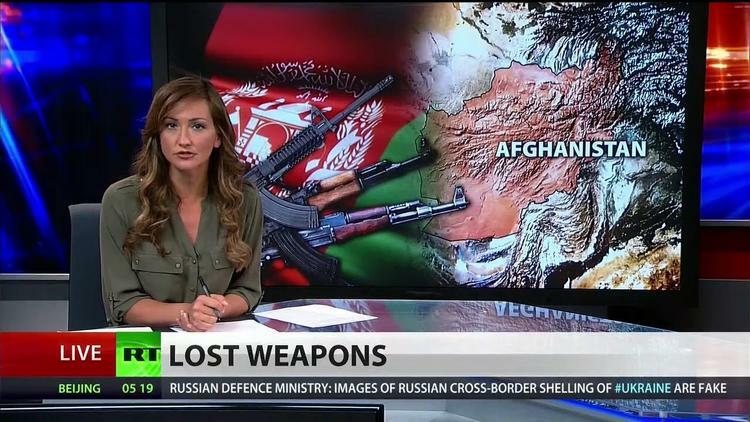 Weapons paid for by US are Missing in Afghanistan: Did they go to the Taliban? The Department of Defense has provided the ANSF with 747,000 weapons since 2004 for approximately $626 million, and cannot account for all of their whereabouts due to poor recordkeeping. The United States also provided Afghan forces with more than 112,000 excess weapons, and the Department of Defense has no authority to recapture or remove them, according to the report. The Inspector General concluded that due to the Afghan government's inability to account for or dispose of the weapons, that there is "real potential for these weapons to fall into the hands of insurgents, which will pose additional risks to U.S. personnel, the ANSF, and Afghan civilians." The report comes at a perilous moment in Afghanistan. "The New York Times" reported on July 26 that Taliban fighters are making key advances near Kabul, beyond their strongholds. The Afghan government also remains fragile, as a presidential election audit has been troubled with delays and sharp disagreements between the two candidates, Abdullah Abdullah and Ashraf Ghani. The report reveals that the Department of Defense's recordkeeping is loaded with discrepancies and errors. Of 474,823 serial numbers in one database named OVERLORD, the Operational Verification of Reliable Logistics Oversight Database, 43 percent had missing information and/or duplication. OVERLORD also had over 50,000 serial numbers with no shipping or receiving dates, raising questions concerning their whereabouts. The Afghan government has no standardized accounting for the weapons, instead relying on documents, handwritten records, and some spreadsheets in Microsoft Excel. The Inspector General visited the Central Supply Depot, controlled by Afghans with assistance from U.S. advisors, and found many discrepancies. For instance, there were 740 missing M16 rifles, 112 missing M23 pistols, and 24 missing M2 machine guns. The excess arms provided to Afghans have resulted in 83,184 more AK-47 rifles, 5,186 more RPK machine guns, and 5,834 more GP-25/30 Grenade Launchers. The report notes that the issue of excess weapons will likely worsen in coming years, because, while Afghan security forces are scheduled to decrease, the number of weapons provided is thus far unchanged.